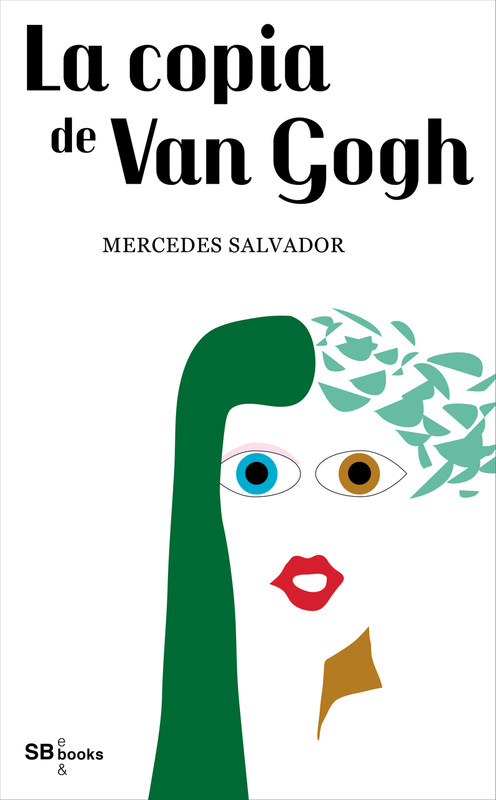 I attended a Spanish-English reading last week at the McNally Jackson Bookstore for the book launch of Mercedes Salvador’s debut novel, La Copia de Van Gogh, which was published in Spain over the summer. Mercedes and I studied creative writing together in the MFA program at Goddard College, so it was a real thrill to hear her read from her book, and talk about her 10 year journey to write and publish her first novel. Inspired by her life growing up in Spain, La Copia de Van Gogh tells the story of two young women, Miriam (Spanish) and Helena (American) who spent summers together in Mallorca in the post-Franco years. After Helena goes missing, Miriam sets off on a journey to find her friend. The book is a story of friendship, family and personal transformation set in the U.S., Spain and India. I look forward to reading this book, and Mercedes, who lives in New York, has plans to translate her story, and publish it, in English. McNally Jackson, an independent bookstore in SoHo, is such an inspiring shop to visit. It’s a two-story bookstore located in a part of New York better known for eating out and buying designer shoes and clothes than a place to buy books. It is wonderful to see this store thriving and hosting unique events, like this bilingual book reading. The Enchanted is narrated by a mute man who ended up on death row for a crime he committed while incarcerated. He watches as another man on death row, York, is visited by “the lady,” a mitigation specialist who tries to find a way to decrease York’s sentence from death to life in prison. As she uncovers details about York’s grim childhood, he begs her not to continue her work, as he wants to die; he is finished. The lady (whose name is never revealed) finds solace in the company of the prison priest, who has a checkered past. This is a poetically written book that explores the lives of these central characters, and the prison warden, who exist together in a world where time is running out. The story is written in a fairy tale style and most of the characters are never given names—just roles: the lady, the warden, the priest. As I read the book, I wondered if this storytelling choice created an unneeded distance from the characters, but as I reflect on and mull the book more, I think Denfeld opted for this style because the topic is so heavy. A realistic book about life on death row might be too much. The fairy tale approach makes this difficult topic more accessible. Denfeld is a deft writer and clearly knows what it is like to both be on death row and work with people there. For anyone interested in death row, this book provides a unique view of life in prison, a topic not often tackled in literary fiction. Denfeld lives in Portland with her family. She published a powerful op-ed piece in the New York Times recently about a man who was her father growing up. The Enchanted has been shortlisted for the 2014 Flaherty-Dunnan First Novel Prize. I bought this book at Powell’s in Portland, where I found a signed copy. As the air in New York becomes crisper and the days shorter, it makes me want to stay home with a book. Today, I will share some of the notable new books for the season. Library Journal writes that the debuts this season are “proving to be the most exciting of a big, big bunch.” Some of the titles they note are a debut novel by actor Gillian Anderson, A Vision of Fire, which is a science fiction thriller about a psychiatrist “investigating inexplicable behavior” in kids; The Jaguar’s Children, a novel about 15 immigrants trapped in a water truck as they try to cross into the U.S. by John Vaillant; and The Global War on Morris is a novel written by Steve Israel, a Congressman from New York, about a pharmaceutical salesman who is tracked by a government surveillance program. Publishers Weekly just wrote about debuts being published by small, literary publishers. It’s worth reading through the author profiles they link to on the page, as they tell some interesting stories about how some of the authors got their books published, including one woman who sent her book to Jonathan Franzen. On that list is a book I have written about before, Eimear McBride’s A Girl is a Half-formed Thing, which won the Baileys Prize earlier this year and is noted for it unique prose. And Our Lady of the Nile, by Scholastique Mukasonga, which was originally published in French, and is about life in a Rwanda Catholic girls school in the 1980s. Next week I review The Enchanted by Rene Denfeld, a book about life on death row, which made it to the shortlist for the Flaherty-Dunnan First Novel Prize.